Hannah Burke, a former stand-out at Baylor University in Texas and winner of the Ladies European Tour Czech Masters in 2015, has joined golf scholarship specialists ProDreamUSA. 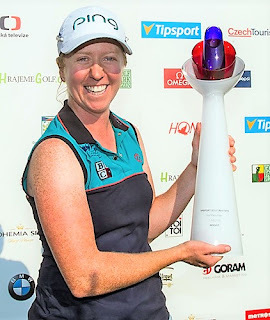 Hannah, herself a former ProDreamUSA client, is the second Ladies European Tour member to join the company, following the appointment of Ellie Givens, and she will continue to compete on the circuit, whilst using her experience as a former College golfer to identify and advise the next generation of scholarship hopefuls. Established in 2004 by former Walker Cup and Eisenhower Trophy winner Lorne Kelly, ProDreamUSA have placed more than 1200 young golfers at US colleges and universities. “I was extremely excited when the opportunity arose to become part of team ProDreamUSA. I loved the experience with them of finding the right college for me and the years I spent at Baylor were some of my best.